The impressively named Isaac McHale, head chef of the Clove Club, is a Scottish chef who learned his trade in the restaurants of Glasgow and during a six year spell at the Ledbury. 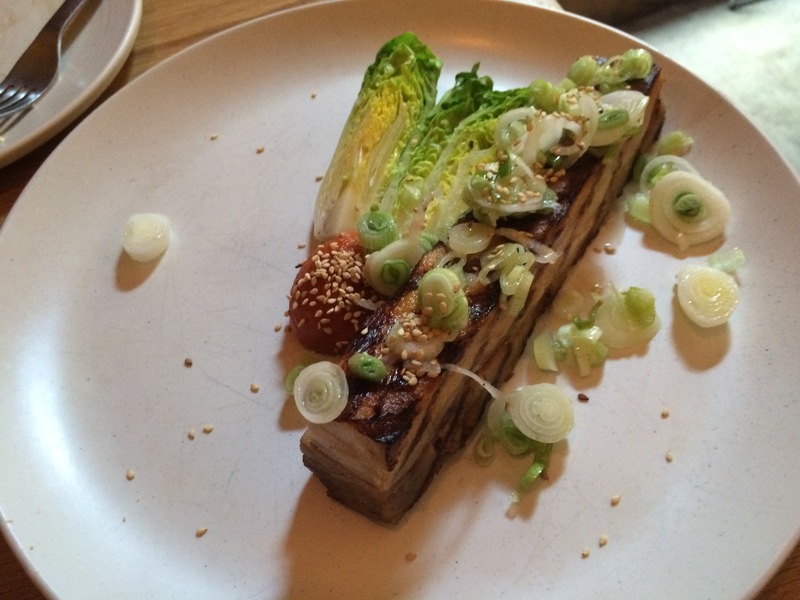 He was heavily influenced by a stint at Noma, rising to prominence as part of the Young Turks collective (along with James Lowe, now of Lyle’s), operating various pop-ups in East London as well as a famous residency at the Ten Bells pub in Spitalfields. McHale is supported on front of house matters by Stockport lads Daniel Willis and Johnny Smith who both stepped up from being waiters, at St John Bread & Wine in Spitalfields and Great Queen Street in Covent Garden respectively. 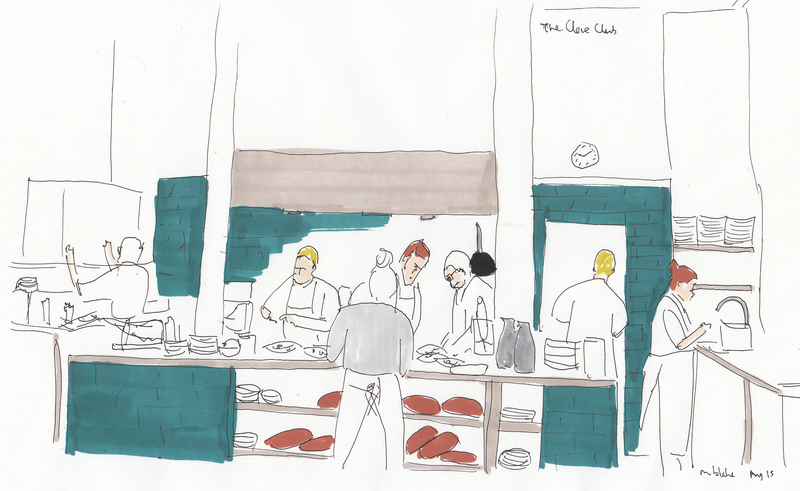 They opened in March 2013 amid much critical interest, with favourable reviews in most of the newspapers including from AA Gill (although he was less keen on the decor, setting or ambiance declaring it “hipster hell”) and gained a Michelin star last year. 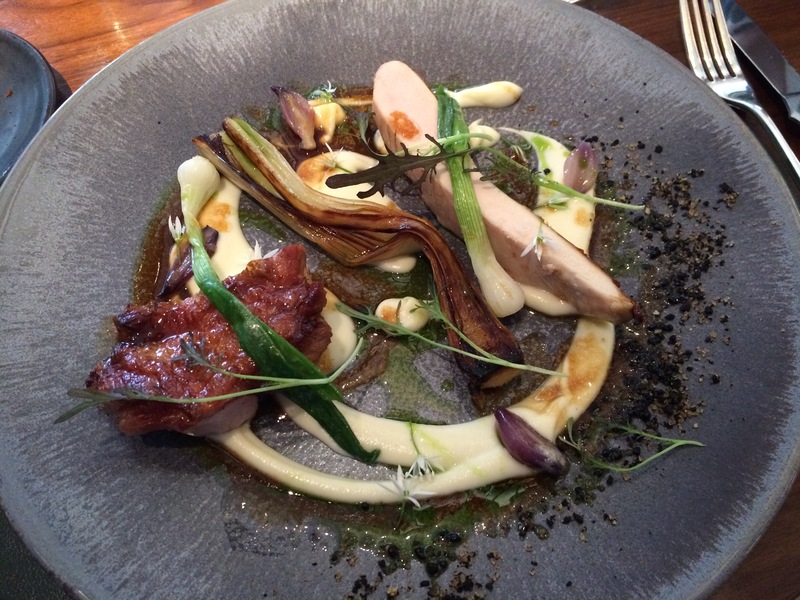 I went along for the good value set lunch menu which offers three courses for £35. After three rounds of well executed amuse-bouche (the highlight being the buttermilk fried chicken nugget mentioned in Marina’s quote above) I started with a simple dish of mackerel tartare and cucumber with edible flowers and a hint of mayonnaise. 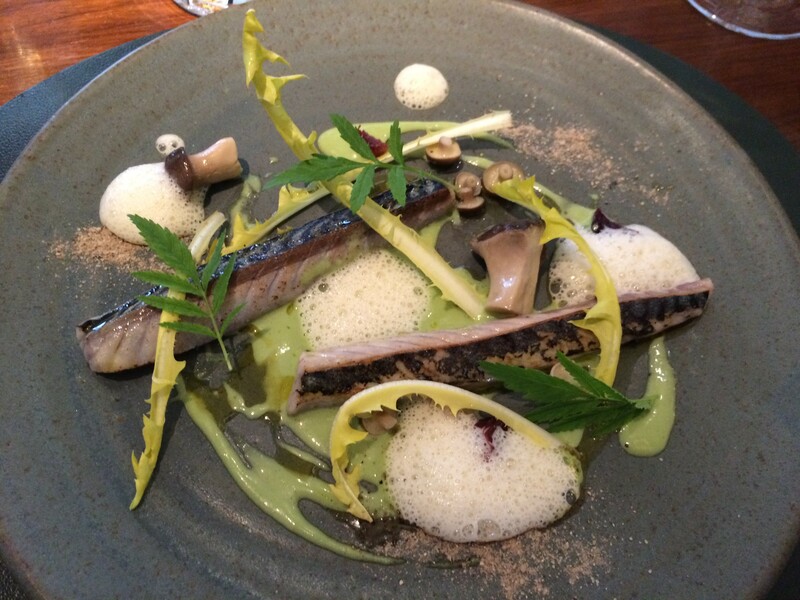 The mackerel skin had been lightly charred to lend texture and the flesh was packed with flavour. 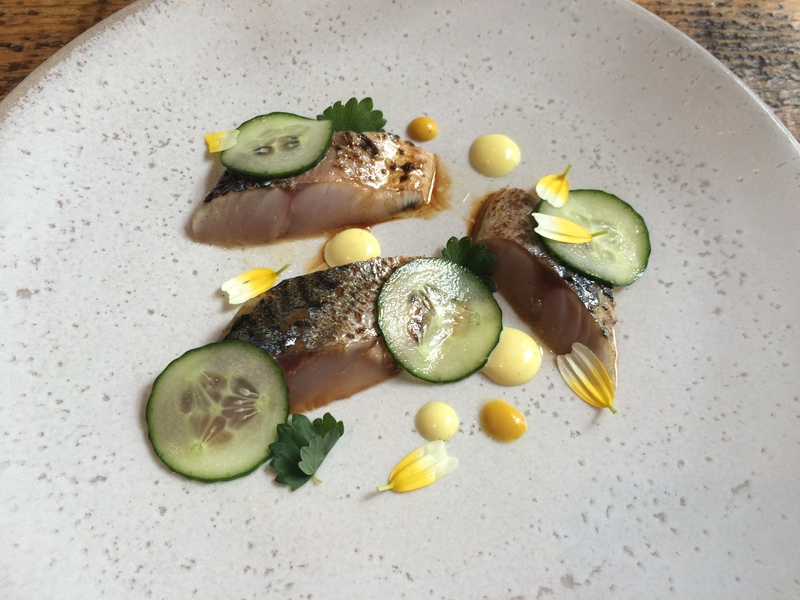 The sharp, juicy cucumber and slightly bitter flowers cut through the rich, oily fish. 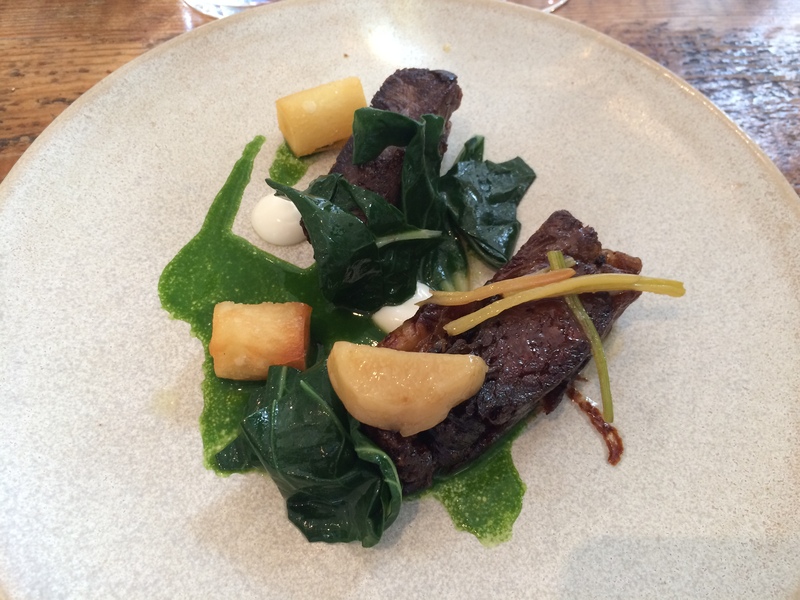 We followed with beef shin with little morsels of confit potato and a nugget of bone marrow. 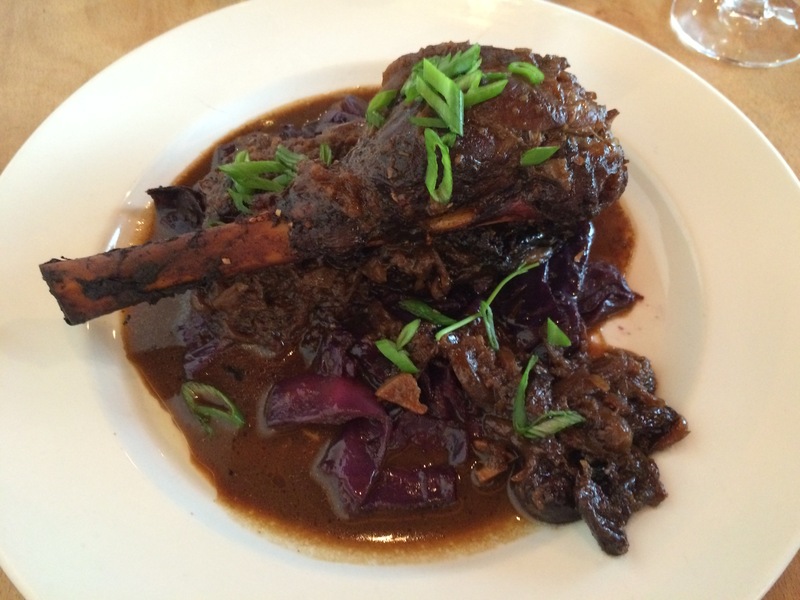 The beef was melt in the mouth and nicely gelatinous around its edges – it was enhanced by a punchy beef stock gravy which was poured at the table and a chunk of slightly smoky, fatty bone marrow. 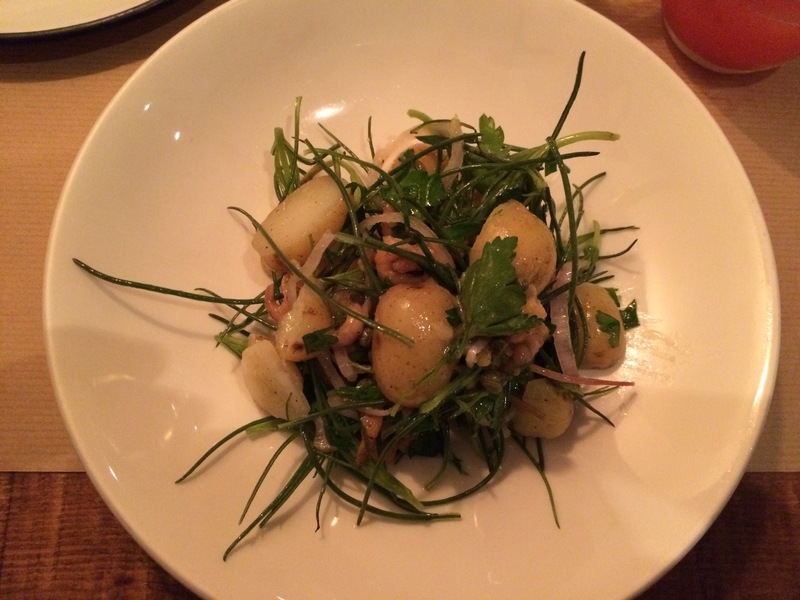 A pair of crunchy confit potatoes added texture and were fairly light and not at all oily. 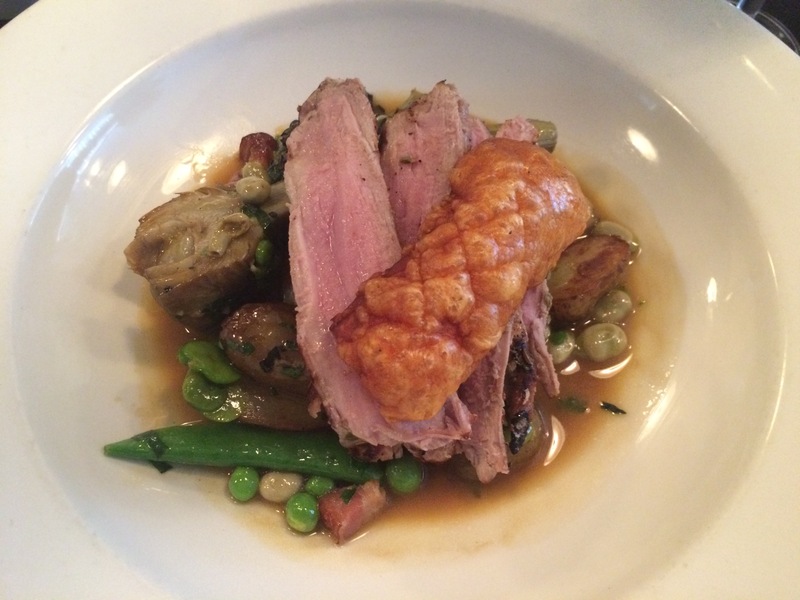 It was a very rich but immensely enjoyable lunchtime main course. 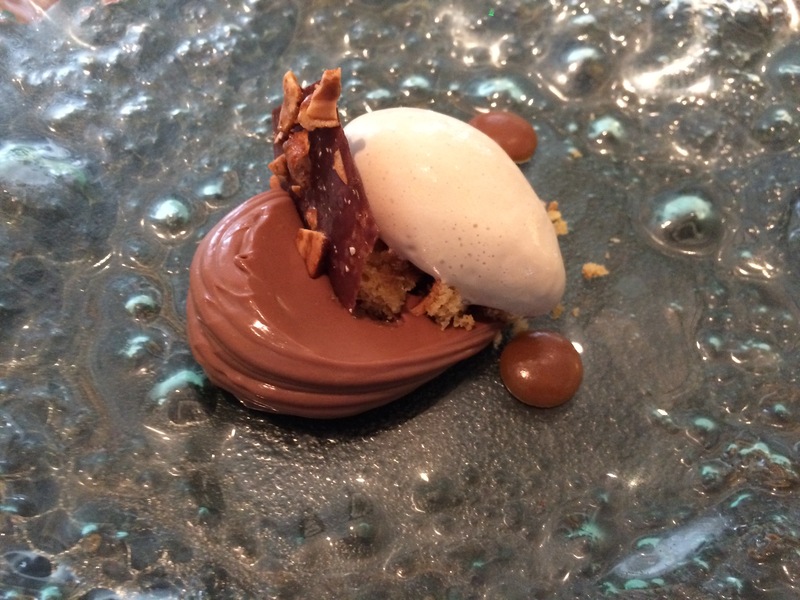 Many of London’s high-end restaurants offer great value weekday lunch menus (for example three courses at Pollen Street Social would set you back £34.50 or at Wild Honey they are a bargain at £29.50) and The Square is arguably one of the best lunch options in the capital with a set menu at £35. Head chef Phil Howard opened The Square in 1991, gaining a Michelin star three years later, and two stars in 1998 which they have held ever since. Howard studied microbiology at university and then discovered a love for food, travelling to work in the Dordogne before undertaking apprenticeships under the Roux brothers and Marco Pierre White. He was given his big break (he hadn’t even held a sous chef position at the time and had no formal training) by an early backer of Pierre White, Nigel Platts-Martin who still co-owns The Square. 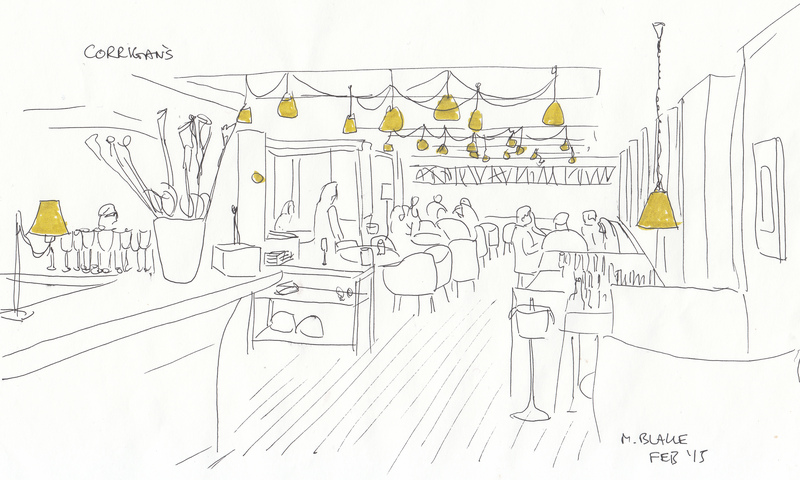 Howard has gone on to open other successful London restaurants, including The Ledbury and Kitchen W8. Despite coming across as mild-mannered and focused in his frequent television appearances, he has a chequered past, having fought and overcome drug and alcohol addiction in the early 1990s. We went along for a quiet Monday lunch and began by battling with the bible-like wine list – unfortunately they didn’t have the reasonably priced bottle I picked out and the sommelier was only able to offer an equivalent for £30 more, so we soldiered on with a couple of wines by the glass. 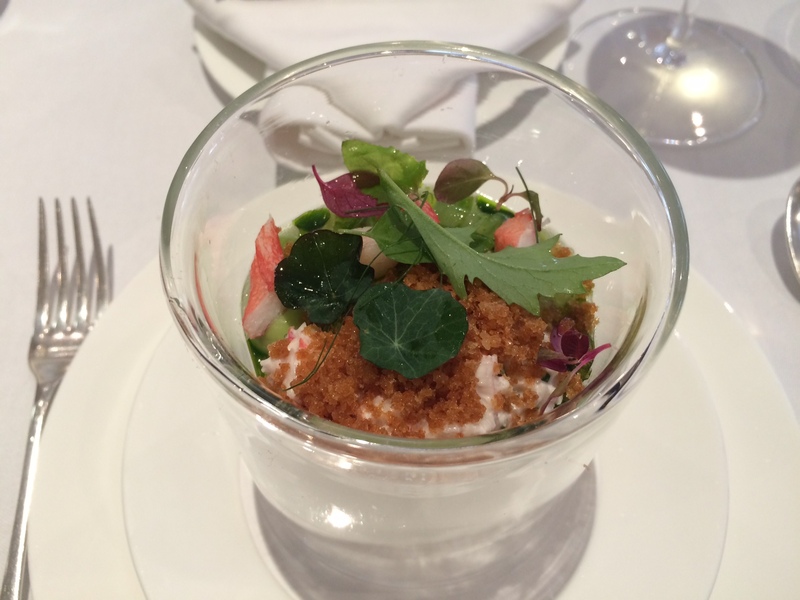 A cold starter of crab and langoustine jelly with salad leaves was light and fresh – the sweetness of the langoustine came to the fore but was nicely contrasted with the slightly bitter leaves, including some baby nasturtiums. 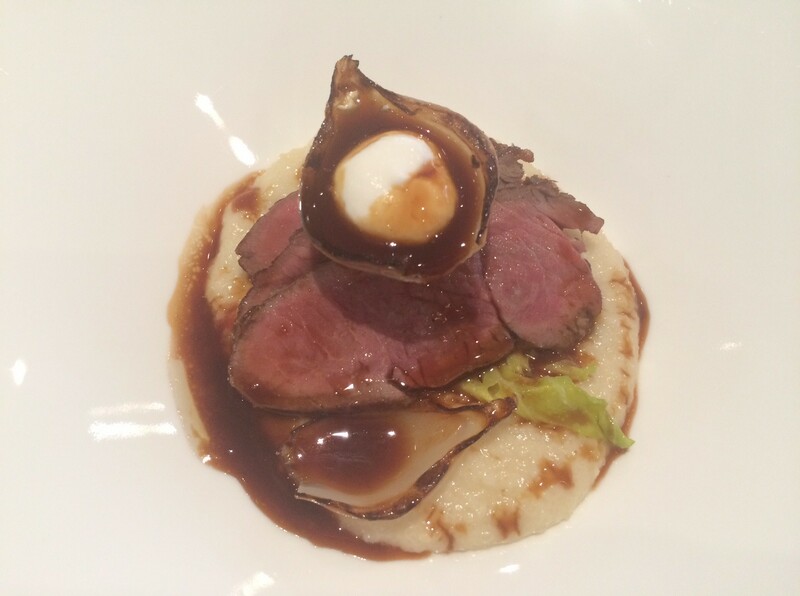 Our main of kid goat with celeriac mash was perfectly executed – the meat was very moist and soft, it tasted more like veal than goat and had been well rested so that its flesh could have been cut with a spoon. Roasted shallots and a hint of crème fraîche added some contrasting flavours, whilst the rich mash and dense gravy provided decadence. Service was careful, confident and efficient – small talk was kept at a minimum; dishes arrived and were removed with smoothness and the minimum of fuss. 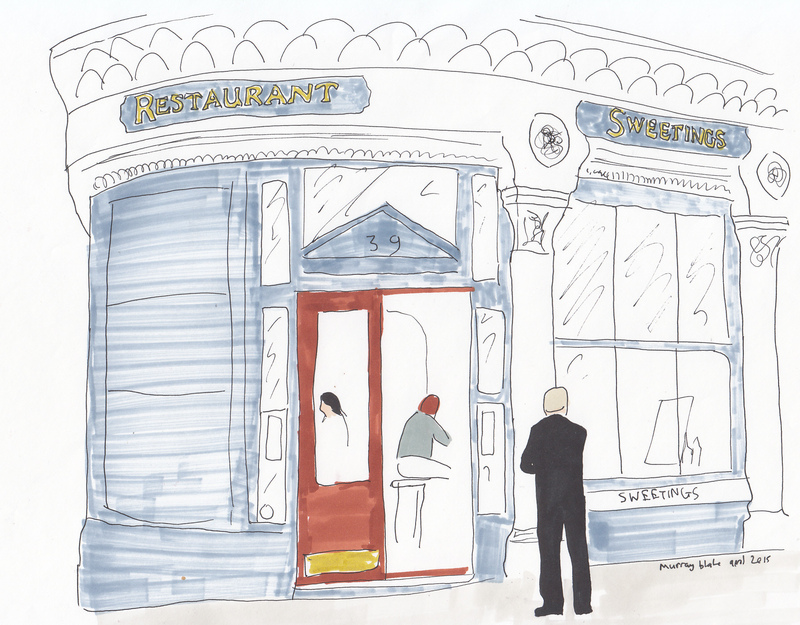 Sweetings is an institution in the City of London – it was opened the same year as the Eiffel Tower (1889) and has been serving fresh seafood to pinstriped men ever since. In an era of pop-ups and short-lived fads (think kimchi, burgers, barbecue) it is very impressive that Sweetings have kept the same formula for over a century – the menu, building and decor are pretty much unchanged from its original incarnation, they don’t take bookings, are only open during the week and only serve lunch. Sweetings has its own fishmonger, Richard Barfoot, and freshly filleted produce is displayed in the restaurant’s window. 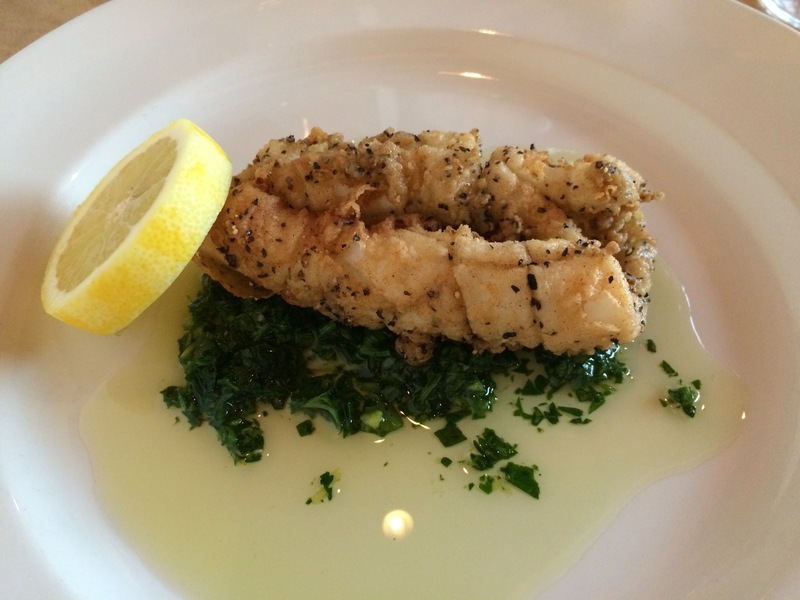 The menu is very simple: there are a handful of traditional starters like prawn cocktail and scallops and bacon; fresh fish is the focus of the main courses – there are no fancy sauces or modern techniques here, you simply request your fish grilled, fried or poached. 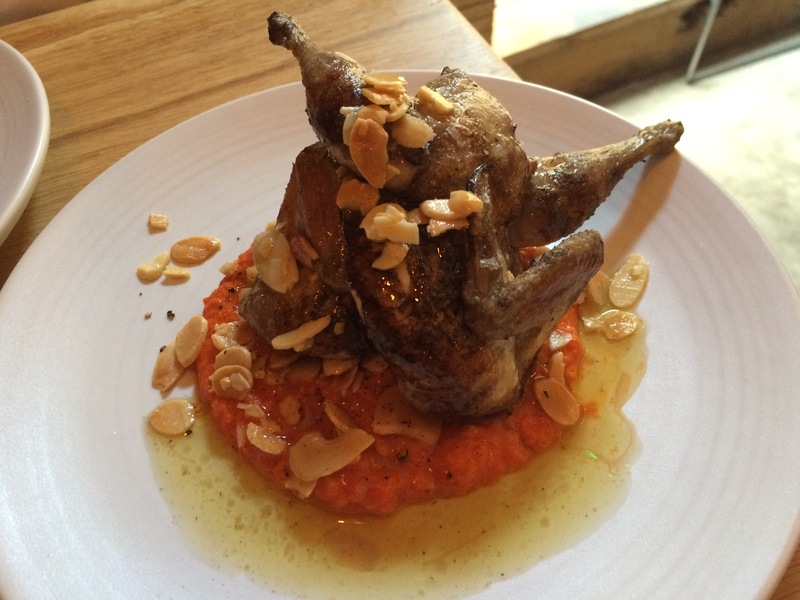 I was slightly surprised to read that the head chef is Galician (Carlos Vasquez) – his latin roots are not obvious in the food at Sweetings, I think any minute change to the menu would cause consternation amongst the regulars. 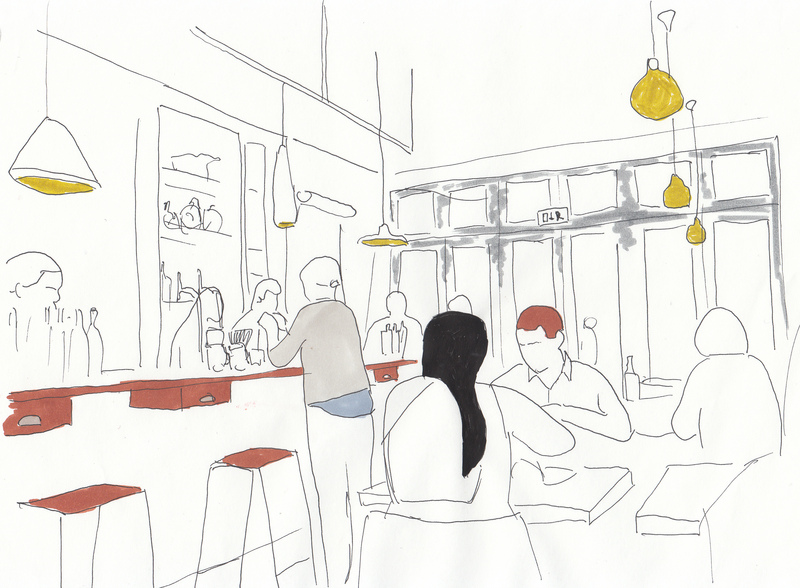 Seating is exclusively on high stools at communal wooden counters and bars – the service is very attentive, each area has a dedicated waiter/waitress who either stand behind the bar or are in charge of the table of 6 or 8. After slurping down our black velvets which were served in pewter tankards (when in Rome…. ), I started with smoked eel and horseradish cream (£10.75), unsurprisingly this was very simple: the fish had been lightly smoked and had a lovely texture, it was firm but still moist with strong hints of the sea. 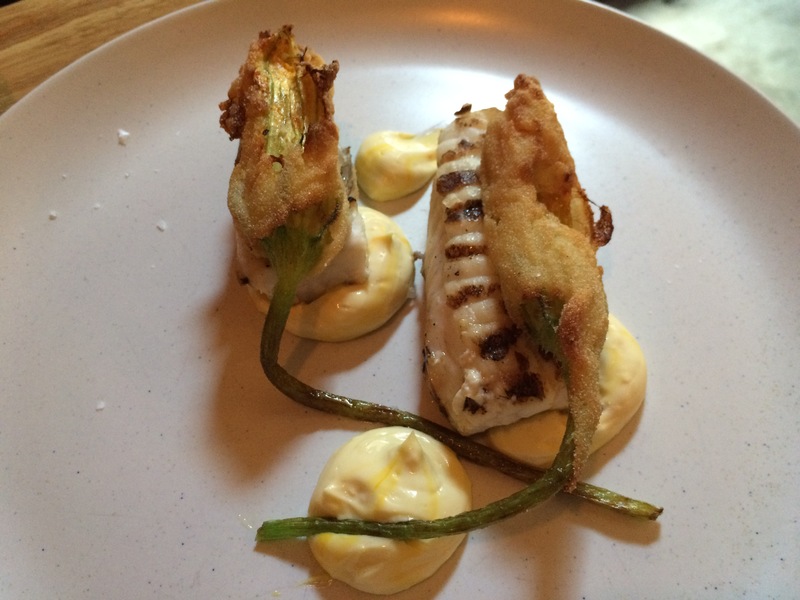 The accompanying horseradish cream was hot and punchy, yet still allowed the flavour of the eel to come through. 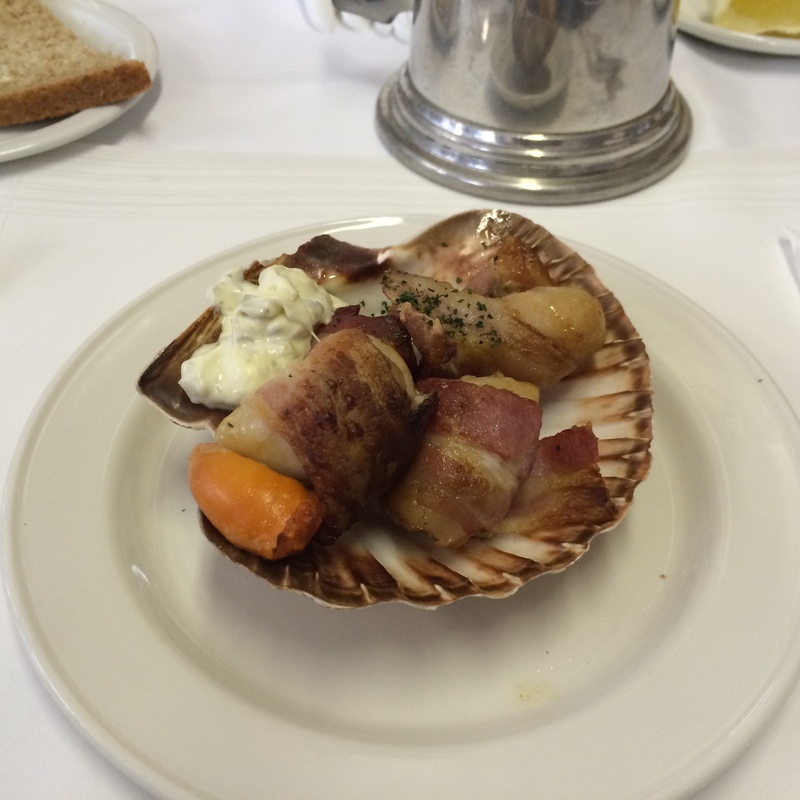 My friend gave top marks to his scallops and bacon (pictured above) – the scallops were cooked perfectly and married well with the crispy bacon. 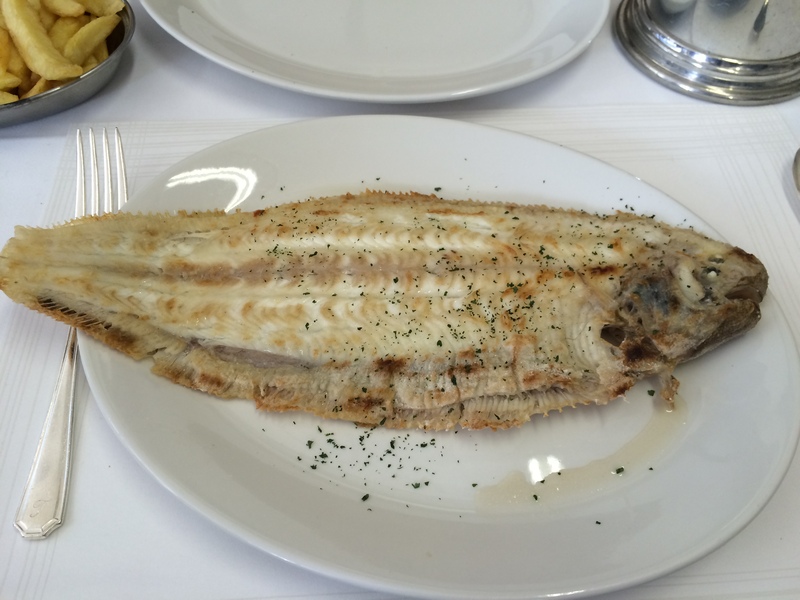 I opted for grilled dover sole for my main course (£31) – this was served whole and looked very impressive, the cooking was good (though it was possibly a smidgen over), simply seasoned with black pepper, the quality of the fish was clear and it did not need any salt. The flesh was firm and meaty, and it had been skinned and de-boned expertly so there were no stray bones. We had chips on the side which I think had been cooked from frozen but were nice enough, served straight from the frier and prepared using fresh oil. Service was very friendly and chatty (without being overbearing) and extremely efficient – all the more impressive considering the small and crowded space they are working in. 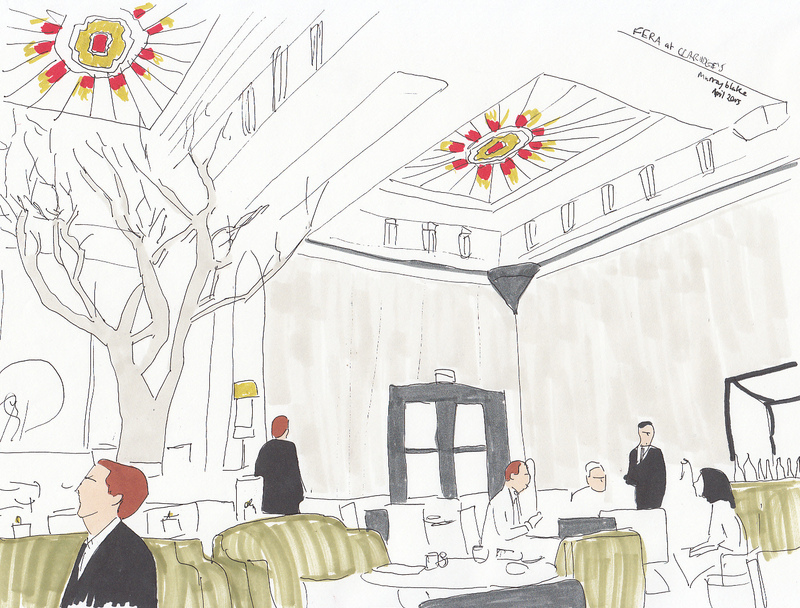 It was probably the best service I have experienced in London. 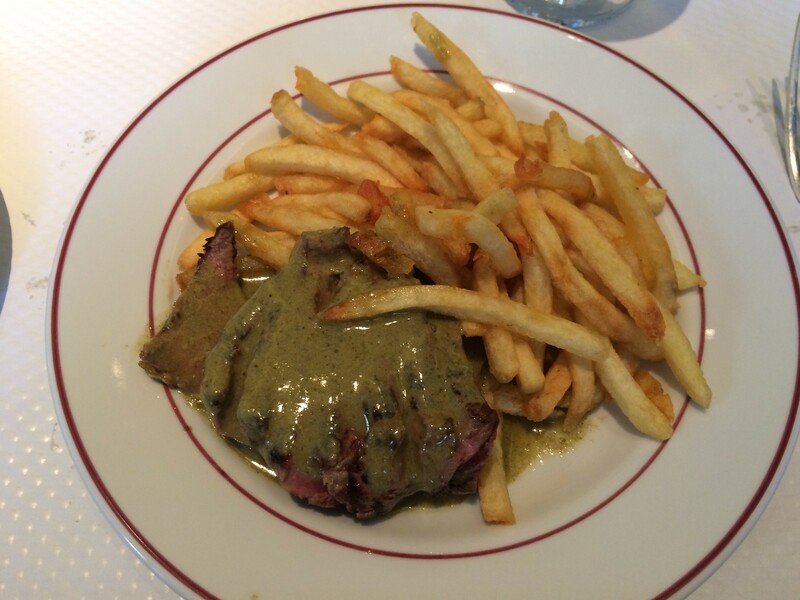 Entrecôte is a global chain of steak frites restaurants that was born in Paris in the late 1950s and now has outposts in London and New York. As Mr Rayner’s quote above illustrates, it is a no-choice restaurant that serves walnut salad followed by steak and chips (for £24) – I should also say that they do have a veggie option………a plate of cheese (also with frites), although on my two visits I have still yet to see anyone eating cheese. They have a no bookings policy but it is a large space and from reading quite a few reviews and blogs I have not heard of anyone waiting more than half an hour for a table. Decor aims at a classical Parisian bistrot with lots of mirrors and shiny lamps, I feel sorry for the waitresses whose outfits come straight out of ‘Allo ‘Allo. 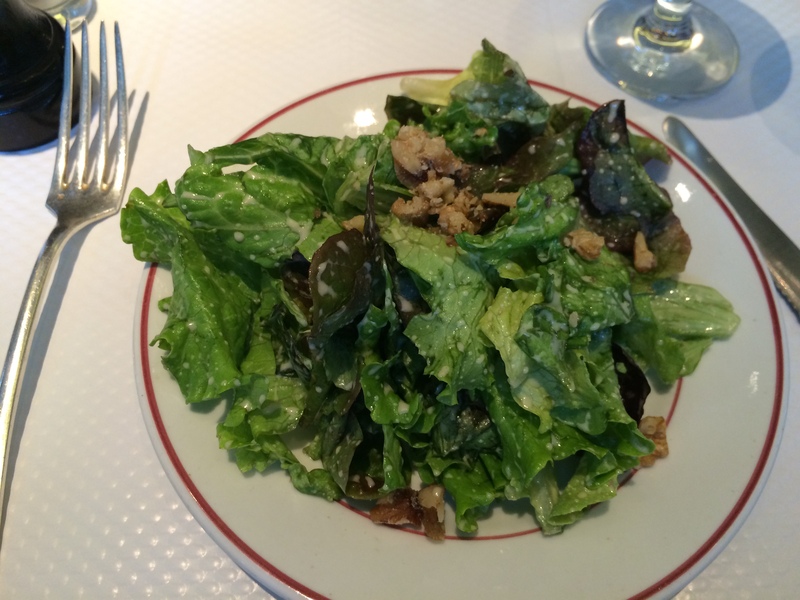 The salad arrived very quickly – it was nicely dressed with a mustardy vinaigrette and a good number of toasted walnuts. The leaves (mostly lettuce) were fresh and crisp although, for me, it could have been jazzed up with some rocket or watercress. 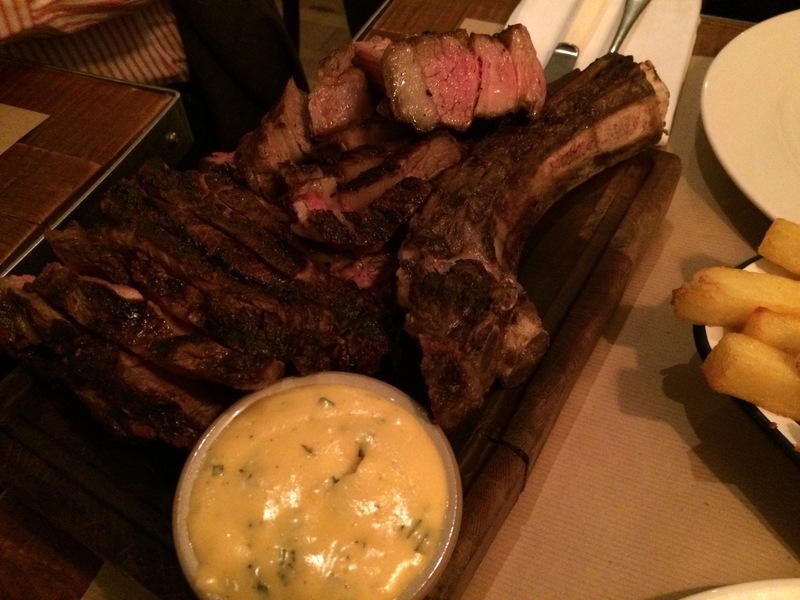 There are no half measures on the steak – it only comes bleu, rare, medium or well done (I was sniffed at when I asked for my steak to be cooked medium rare). I’m not entirely sure of the cut of steak used – our waitress said it was sirloin but it was a bit chewy and may have come from further down the cow (from the short loin maybe). The steak is served on a little side plate because you are topped up with a second serving once your party has finished their first helping – and it pays to be nice to your waitress as I had a more meager second helping on my latest visit. I really enjoyed the “secret” sauce – my best guess from reading online is that this uses chicken livers, thyme, mustard and cream – it is incredibly rich and certainly dominates the flavour of the steak but binds the dish together very well. The frites were freshly cooked and nicely crispy – they did the trick, although they had been prepared using fairly bland potatoes. Service was brusque and unremarkable – although fairly swift our waitress did not break out into a smile during our entire meal. Categories: Fish, French | Permalink. 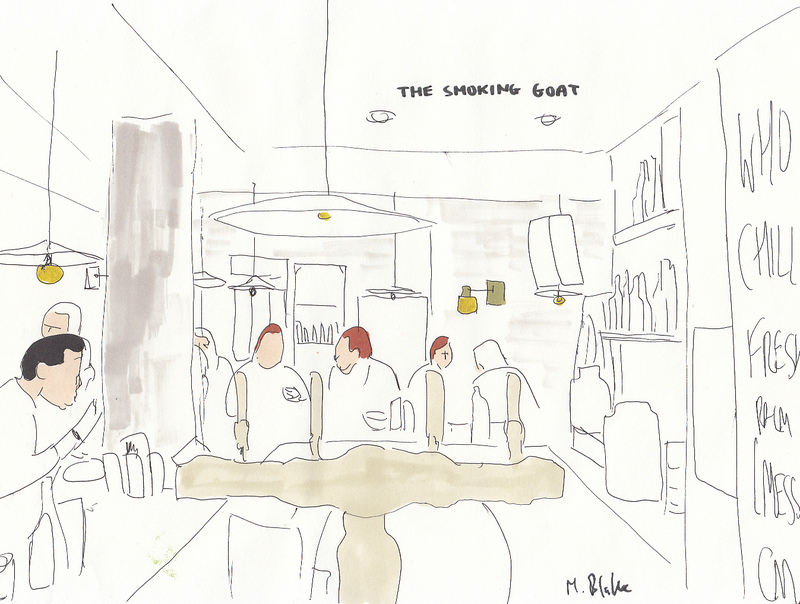 The smoking goat opened last autumn and its rough and tumble, messy Northern Thai street food has received a lot of attention since then, with favourable reviews from Marina, Fay and even a minor royal. 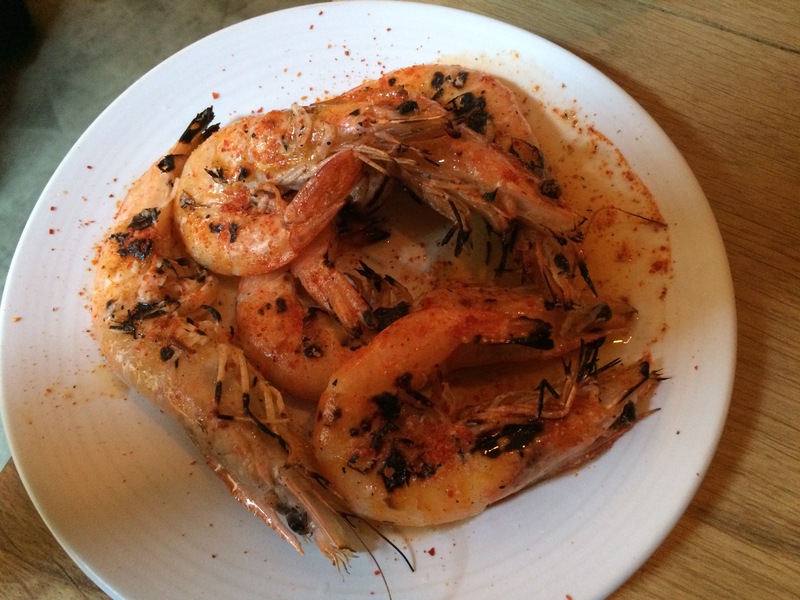 Head chef Seb Holmes was poached from another Thai kitchen, the Begging Bowl in Peckham, and is joined by Gino Tighe who previously worked at The Quality Chophouse. 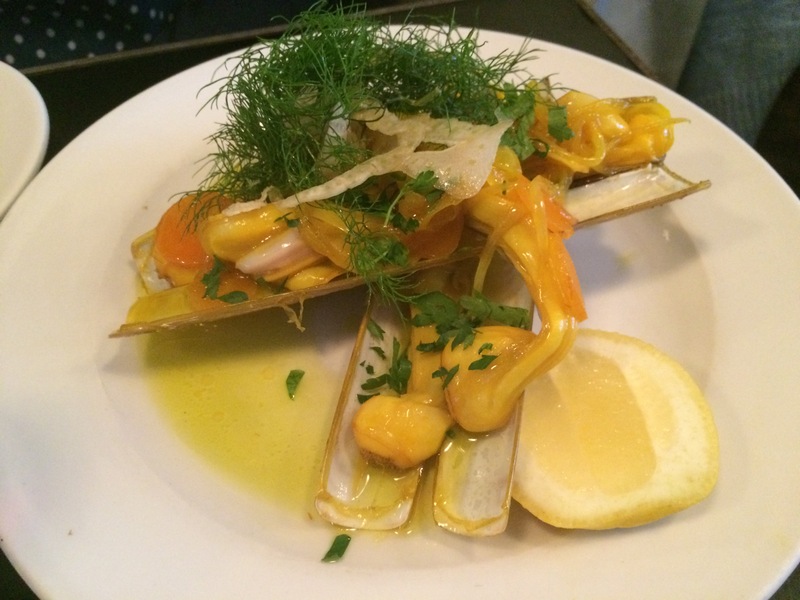 It is situated in a former Soho dive bar – space is tight with around 40 covers, most of which are seated around the bar and the smell of the smoky wood ember barbecue permeates the whole room. They employ the requisite no bookings policy and score extra hipster points for having no phone or website. A lot of reviews have focused on the queuing, darkness and noise, but I didn’t encounter problems with any of these: I arrived early (just before 7pm) and was seated straight away; for me, the atmosphere was fun and buzzy. 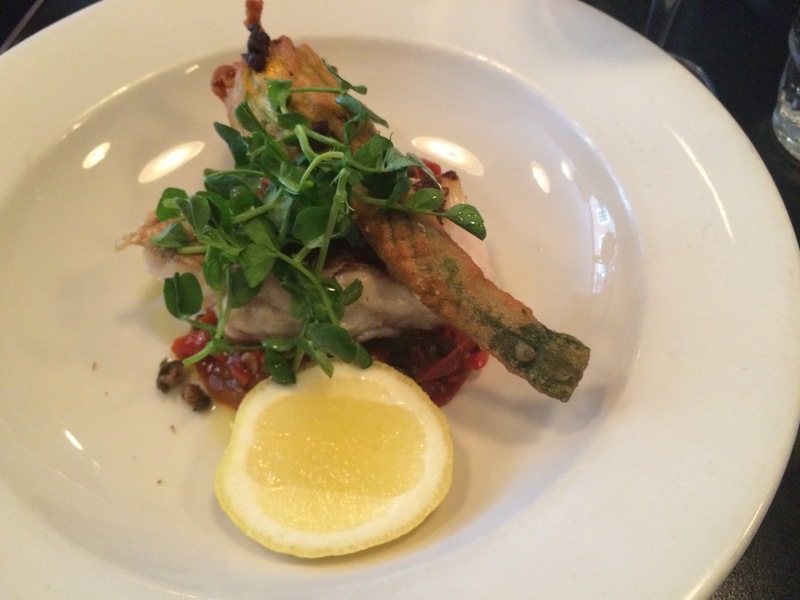 The menu is short and sweet with a handful of choices for each course – starters are up to £6 and mains £15-20. 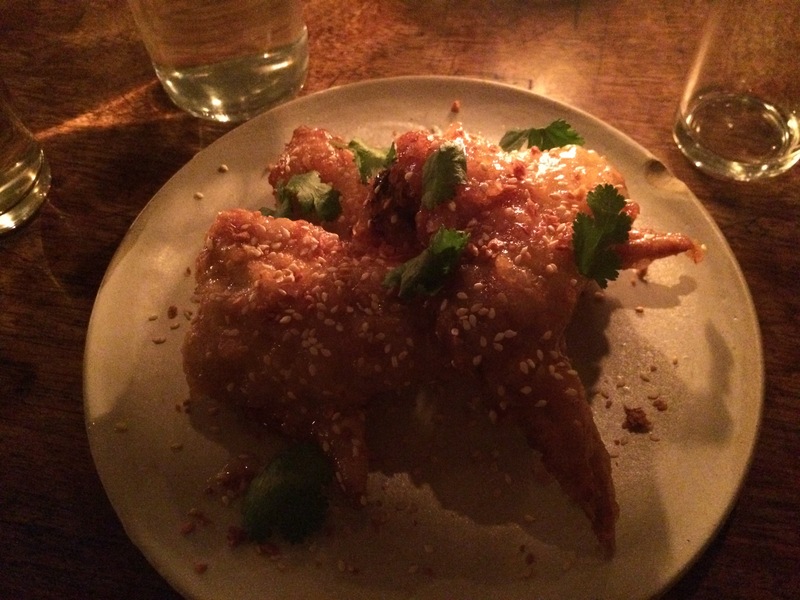 We started with the popular fish sauce wings (£6) – these were the biggest wings I have ever eaten (monster chickens?) and came deep fried, smothered in sesame seeds and sticky, crispy batter. The meat was dark and packed with flavour, with only a subtle hint of fishiness: it was very juicy and simply fell off the bone. Our next dish was a special of roasted whole scallops (great value at £3.50 each) – these were served in the shell complete with their coral. The scallop had been carefully prepared and cleaned so there wasn’t any grit and the cooking was bang on: the flesh was soft and silky, with a slightly smoky finish. 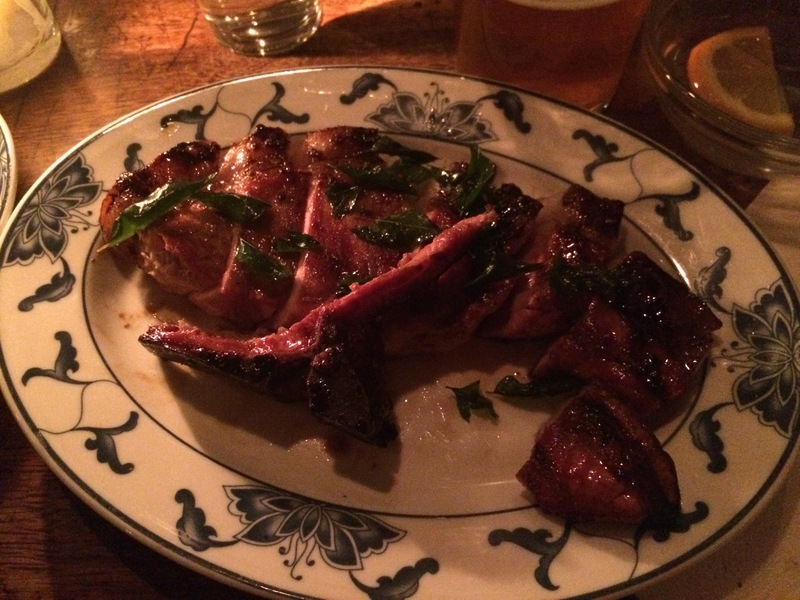 For mains we had slow roasted duck legs (£15) and pork saddle chops (£20). The duck legs were firm and juicy, encased in a rich, sticky glaze and paired well with a lemongrass and kaffir lime dip. The pork saddle chops were the day’s special, the meat having arrived freshly in the morning – the chops had been chargrilled and were firm, glutinous and lightly smoked. Som tam (green papaya salad) offered some light relief from all the sticky proteins – it was loaded with chilli and laced with zesty lime and sweet palm sugar. We washed all this down with pints of Gamma Ray American Pale Ale by Beavertown which were full of vigorous hops with a nice tropical fruit finish (all for an eye-watering £6.75 a pint). 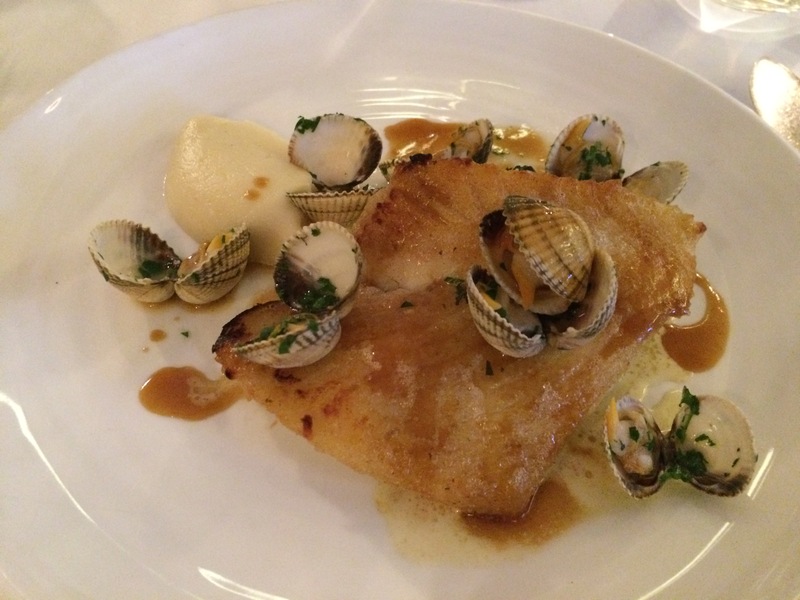 Luc’s Brasserie has been fattening up pinstriped Lloyd’s underwriters for many years, situated at the heart of Leadhall Market they serve traditional French bistro food in a relaxed setting. They offer a set price lunch menu of 3 courses for £19.95 (which is fairly reasonable given its central location) and an a la carte with starters up to £9.50 and mains for £12.75 to £17.50. 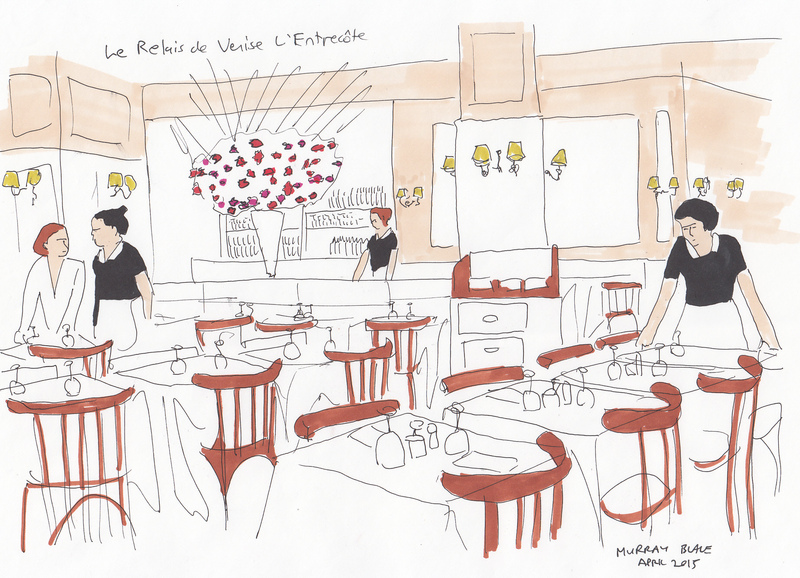 Dishes include many French staples, including baked Camembert, steak tartare, duck confit and toulouse sausage. 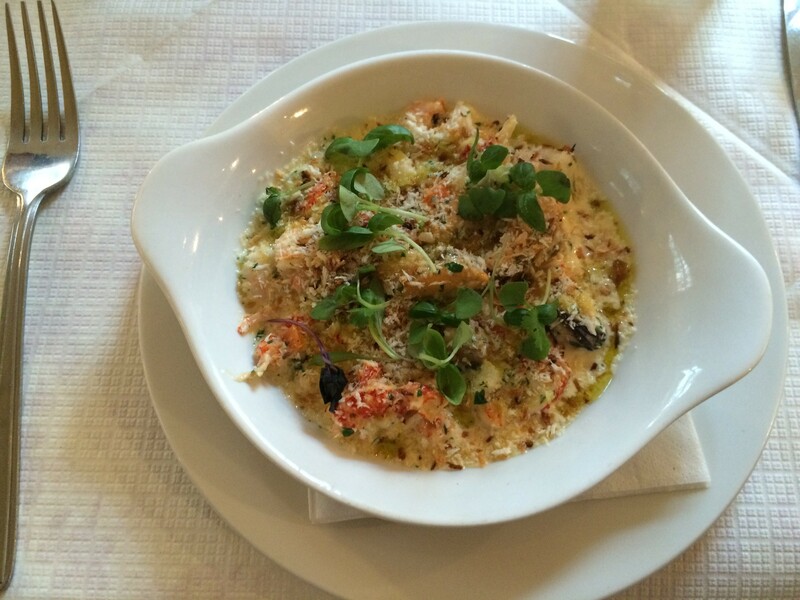 I went along for a mid-week lunch, starting with smoked haddock gratin with mussels. This arrived very promptly and must have been pre-assembled and then finished under the grill, but the fish was fresh, firm and full of flavour; the breadcrumbs were crispy and nicely laced with cheese. I really enjoyed the sauce which was creamy and rich (I think it might have been enhanced by a drop of fish stock). A simple but very pleasing dish. 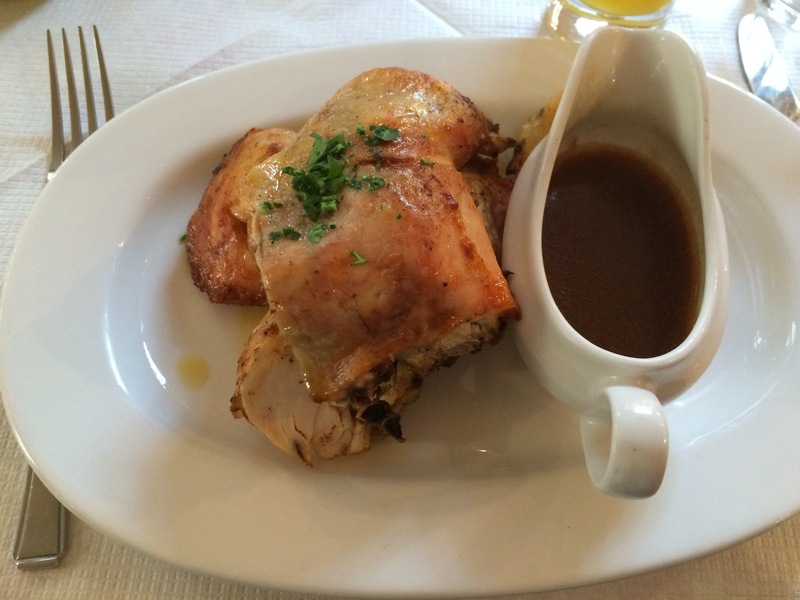 Feeling unadventurous, I opted for the half of roasted chicken with frites for my main course. Again, this arrived suspiciously quickly: the leg and breast had been separated from the body and were clumsily presented along with an old-school sauce boat of gravy. The meat was a tiny bit dry but still fairly juicy and the skin was perfectly crispy. 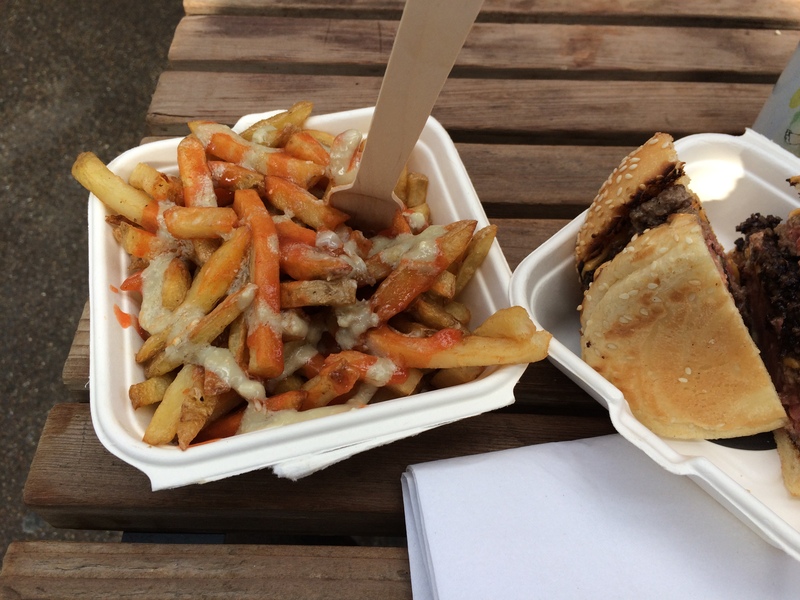 The gravy was reasonable and the frites were thinly cut and freshly made. Service was fast, efficient and generally friendly. 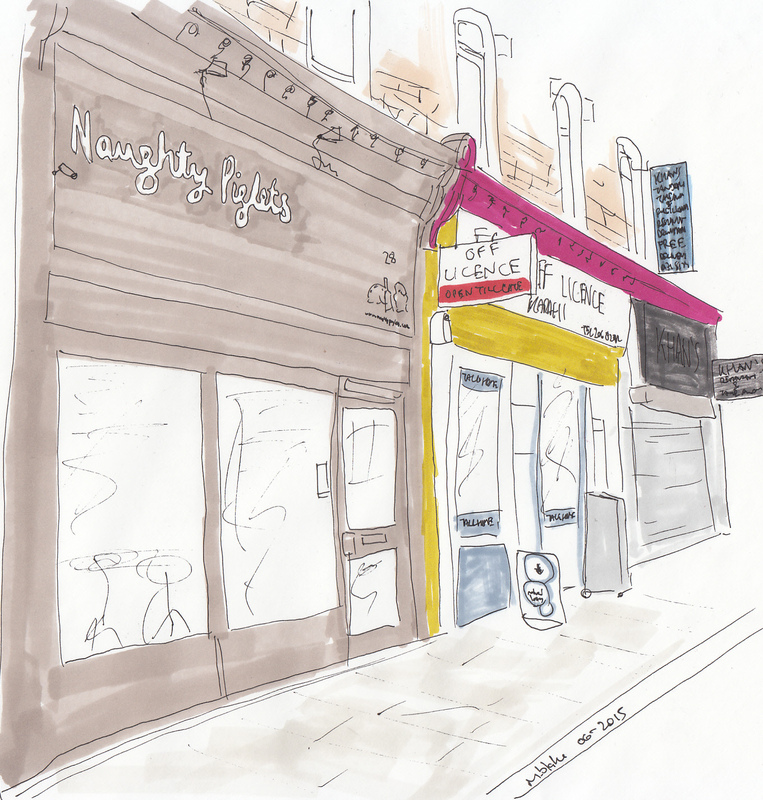 Zan Kaufman’s route to London foodie fame is an unusual one. She started out as a New York corporate lawyer, but her love of food led her to take a second job in a Manhattan burger restaurant. Then she decamped to the UK (her husband in British) and, inspired by KERB founder Petra Barran, bought a truck and converted it into a food van. Her Yankee style burgers (made with rare breed meat from The Butchery in Bermondsey) quickly received rave reviews, including a 10/10 from the Burger Addict blog. 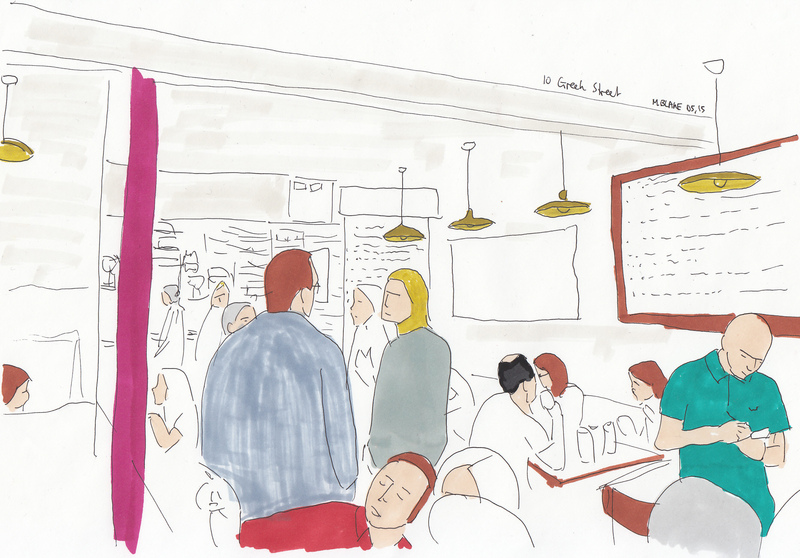 She opened a permanent space in Spitalfields market in February (although the burger van is still out and about) and I went along there for a mid-week lunch. They have a small unit near the main entrance of the market and a few picnic tables of seating around – beware, the market is covered but still outdoors, so it can get pretty chilly there. The menu is short and sweet with the only offerings being a cheese or veggie burgers (£6), a bacon cheeseburger (£7), a double cheeseburger (£9), and the mighty Bleecker Black (£10). 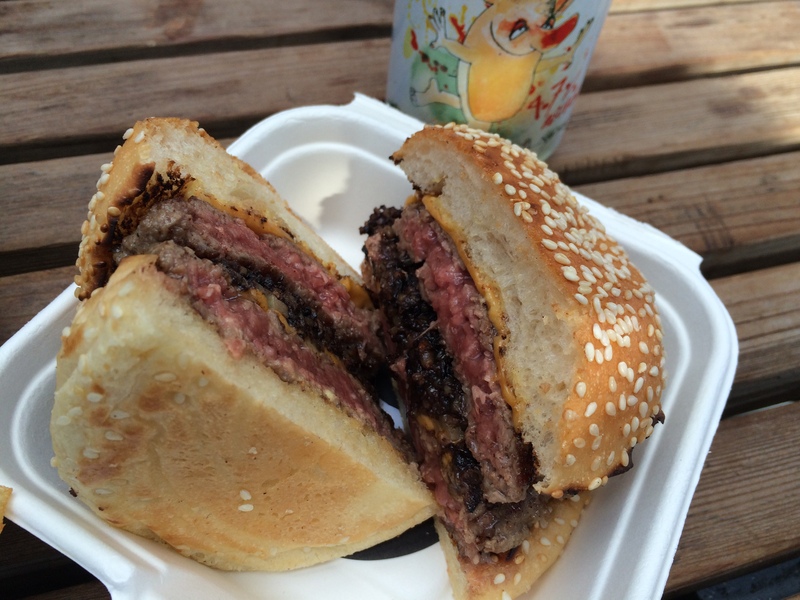 I couldn’t resist trying the Bleecker Black – a double cheeseburger with black pudding, American cheese, onion and hot sauce. The burgers were smaller than I imagined and were cooked wonderfully medium rare though well coloured on the outside, the meat was properly seasoned The bun was of the more traditional seeded variety (rather than brioche as is the trend these days) – it was lightly toasted, had a nice light consistency and stood up very well to the burger juices and sauce. I enjoyed the black pudding which was moist and peppery, with a hint of crunch although it’s flavour did dwarf the burger meat somewhat. Surprisingly, I really enjoyed the “American” cheese which was sharp and slightly sweet, it melted nicely into the burger meat and bun. On the side I had “angry fries” (£4) which come smothered in blue cheese and hot sauce – they are made from Maris Piper potatoes and are cut freshly (skin-on) every day. The fries were nicely crispy, liberally salted and the little hints of skin added texture; the hot sauce wasn’t too hot but worked well with the punchy blue cheese. Categories: Barbecue, Burgers, French, Thai | Tags: Beavertown, Begging Bowl, Bleecker Burger, Burger Addict, Gino Tighe, KERB, Luc's Brasserie, Seb Homes, Smoking Goat, Zan Kaufman | Permalink.